I sat down to watch this with high hopes of a point at the very least. Soon after the start in which Saints looked really purposeful, they could have taken an early lead, if the forwards had been even half awake. They went on to have over 70% possession, but achieved very little at all with it. 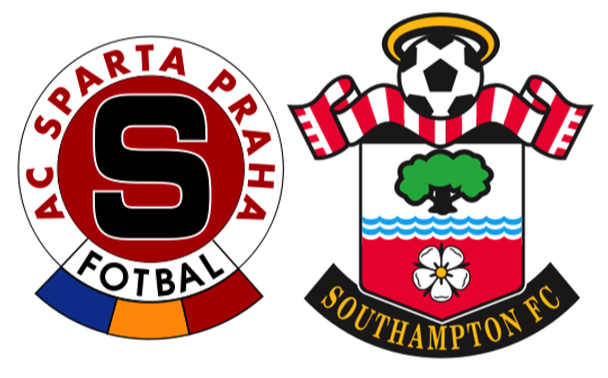 Although Sparta Prague had less than 30% possession, they managed to score as early as the 11th minute. In fact, if it were not for Forster, Sparta could have had at least a couple more goals. Now it all comes down to the last match in the group against Hapoel Be’er Sheva at St.Mary's. Some of Puel's team selection for this match were dictated by circumstances. Tadić will take a few more days before considering playing with his broken nose. Cédric having just come back from injury, needs using sparingly. Fonte managed to pick up a foot injury against Liverpool. Finally the trio of Davis, Bertrand and Romeu were rested, in preparation for Sunday's game at St.Mary's against Koeman's Everton (a crunch match if ever there was one). So, the back four in front of Forster were Martina, Yoshida, van Dijk and McQueen. The midfield was Clasie, Højbjerg and Ward-Prowse, with Rodriguez, Long and Redmond up front. Looking at that team on paper it seems to me that the biggest problem is that it doesn't look like a team. I know that sounds odd, but to me, they are a collection of good individual players (yes, I know that a fair few have issues with Martina), but they just don't seem to gel. After that early miss, which turned out to be the highlight for Saints, things rapidly went downhill. It would be easy to point the finger at Martina, when Costa scored in the 11th minute, but Clasie didn't react either and even Forster really should have got a damned sight closer to the ball than he did. Still, things happen and it was only a single goal, almost at the start of the match and there was still plenty of time to put things right wasn't there? Well, yes there was, but although Saints passed it about a lot, that was all they did. Half Time came and I thought that the chance for Puel to sort things out would result in a better performance in the second half. Fat chance. Rodriguez was looking completely ineffective, off the pace and just not at the races. The normally impressive Højbjerg was looking almost as bad. Ten minutes after the restart the pair were hauled off and replaced by Boufal and Romeu (at least he got 55 minutes rest). Frankly, this wasn't an improvement and the performance actually got worse. Redmond for one looked absolutely shattered. At the back van Dijk was looking cross and doing his impression of a one man team. In fact the nearest Saints actually came to scoring was just before the end when the big Dutchman headed just over the bar. All in all, a very disappointing game, but Saints have a very simple mission now. They will progress if they beat Hapoel Be’er Sheva at St.Mary's on the 8th December. They will also progress if it is a goalless draw, but will go out of the competition should it be a score draw, such are the vagaries of the Europa League.